What is a Fabric Filter? 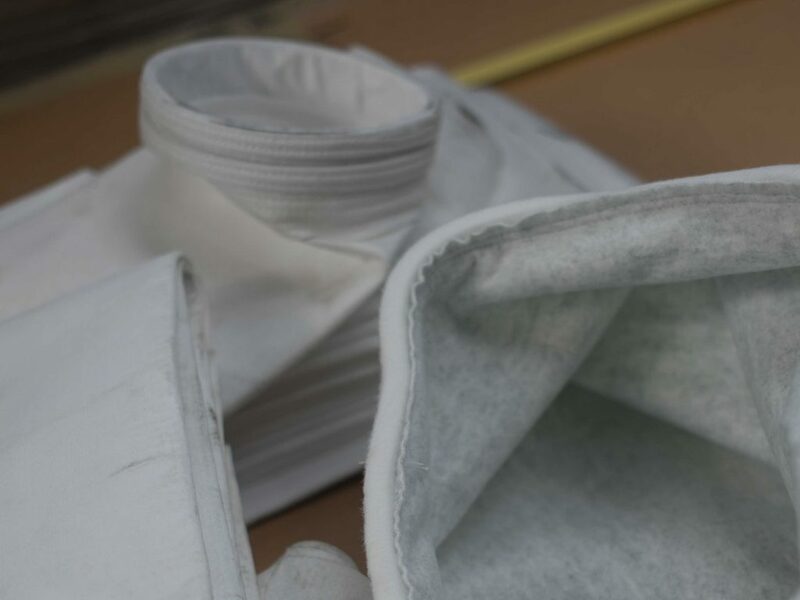 Fabric Filters (also called baghouses and bagfilters) are air pollution control devices that remove particulate matter from a gas stream by passing the dirty air through a layer of cloth. 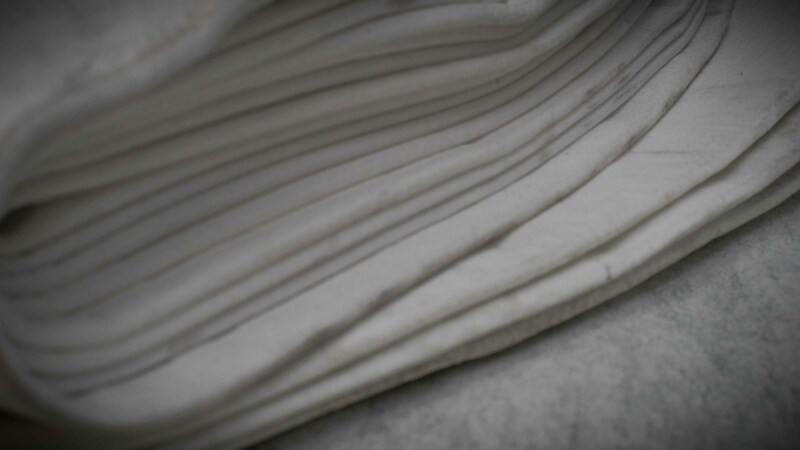 The particulate matter deposits on the cloth surface and the clean air passes through. 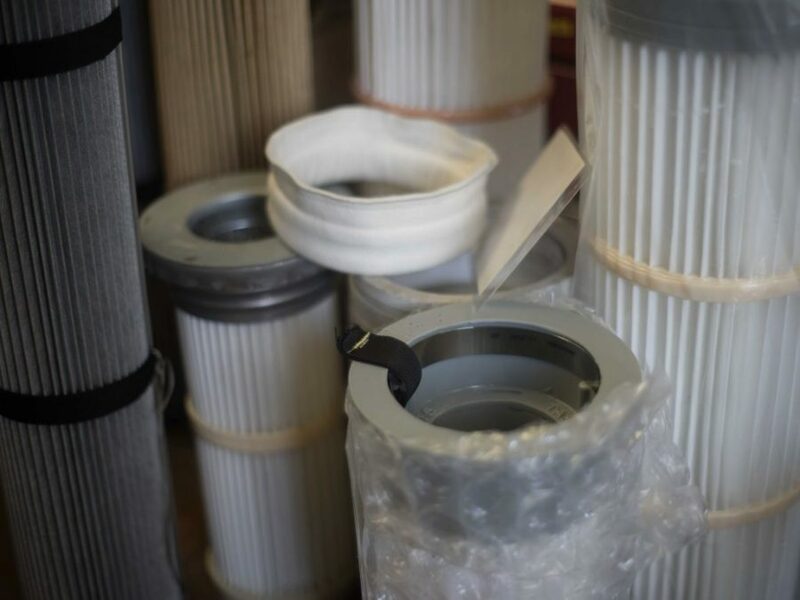 Of all the air pollution control technologies, fabric filters are the predominant particulate removal device used in industrial processes today. 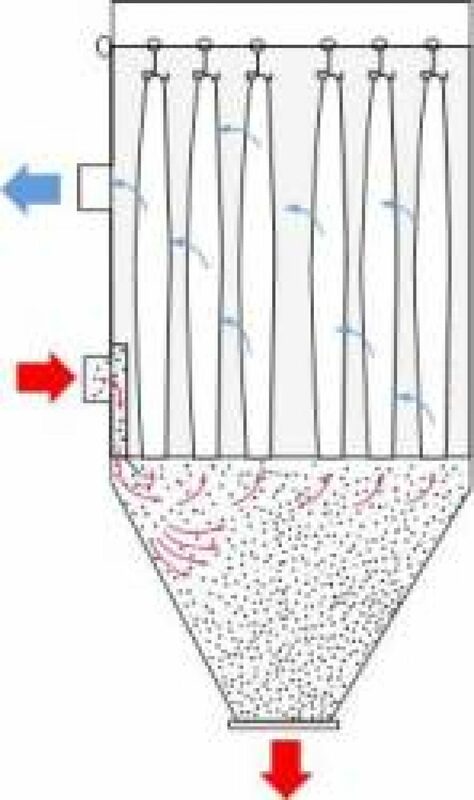 Unlike electrostatic precipitators, where performance may vary depending on process conditions, fabric filters can maintain a particulate collection efficiency of 99% or better, even when the particle size is very small. 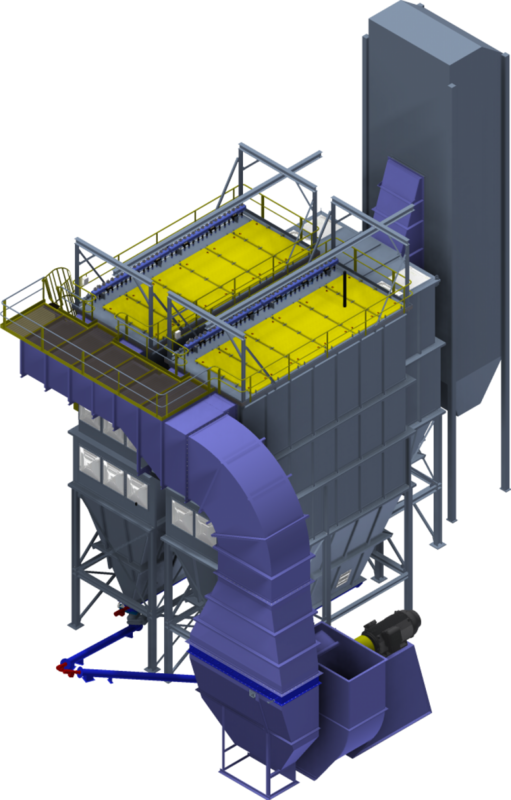 In reverse-pulse-jet fabric filters, individual filters are either bags supported by a metal cage (filter cage) or PulsePleats™. Each filter element is fastened onto a cell plate (or tubesheet) at the top of the baghouse. 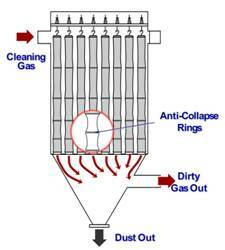 Dirty gas enters from the bottom of the fabric filter and flows from outside to inside the individual filters. Filter elements are cleaned by a short burst of compressed air injected through a common manifold over a row of filters. In the TAPC PowerJet™ fabric filter range, the compressed air is accelerated by the PowerJet™ nozzle mounted in the blowtube, which increases the cleaning efficiency. Since the duration of the compressed air pulse is short (0.1s), it acts as a rapidly moving shock wave, traveling through the entire length of the filter element and causing the filter element surfaces to flex. This flexing of the surface breaks the dust cake, and the dislodged dust falls into a storage hopper below. The advantage of Pulse Jet filters over Shaker and Reverse Air filters is that they can be operated continuously and cleaned without interruption of flow (i.e. no module needs to be isolated from the gas flow). 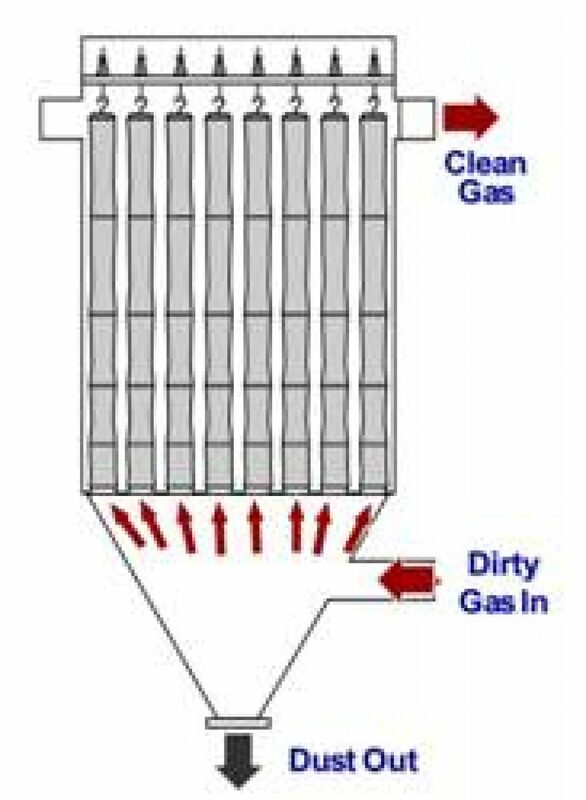 This is because the burst of compressed air is very small compared with the total volume of gas passing through the collector. Also, Pulse Jet dust collectors are usually not compartmentalized which allows them to operate at higher air-to-cloth ratios. In basic terms, this means that, for the same duty, they are smaller and cheaper than the other two styles. In mechanical-shaker baghouses, tubular filter bags are fastened onto a cell plate at the bottom of the baghouse and suspended from horizontal beams at the top. Dirty gas enters the bottom of the baghouse and passes through the filter, and the dust collects on the inside surface of the bags. In reverse-air baghouses, the bags are fastened onto a cell plate at the bottom of the baghouse and suspended from an adjustable hanger frame at the top. 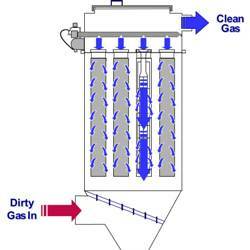 Dirty gas flow normally enters the baghouse and passes through the bag from the inside, and the dust collects on the inside of the bags. Reverse-air baghouses are always arranged in multiple modules. Before a cleaning cycle begins, filtration is stopped in the compartment to be cleaned. 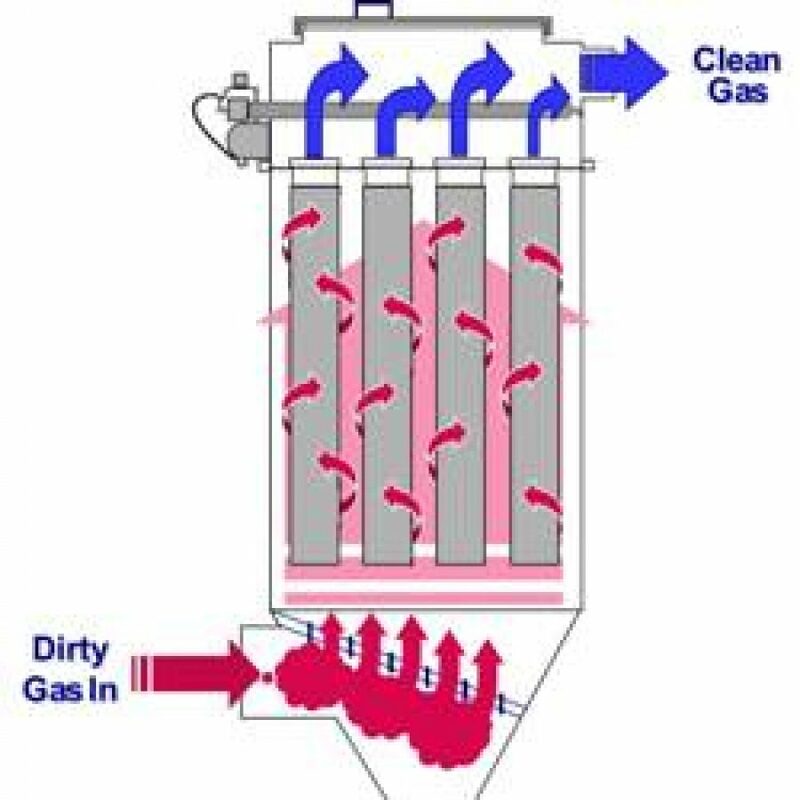 Bags are cleaned by blowing cleaning air into the dust collector in a reverse direction, which pressurizes the compartment. The pressure makes the bags collapse partially, causing the dust cake to crack and fall into the hopper below. At the end of the cleaning cycle, reverse airflow is discontinued, and the compartment is returned to the mainstream. The flow of the dirty gas helps maintain the shape of the bag. However, to prevent total collapse and fabric chafing during the cleaning cycle, rigid rings are sewn into the bags at intervals.